Discussion in 'Classic Menswear' started by pediwear, Aug 19, 2015. Thank you for your enquiry. Both brands make high-quality country footwear. I have literally just returned from walking the dogs in a pair of Sanders Salisbury which I have owned for several years - and always look forward to wearing. Barker's range of country footwear is amongst our customers' favourites with styles like the Lambourne and the Nairn being perennial favourites. We would advise that both manufacturers offer excellent value for the price point of their footwear (we would not sell footwear which did not adhere to this principle). Are their particular styles you are interested in? Boots or shoes - and a particular style or purpose for the footwear? Is Barker worth 60 GBP extra? Purpose of the boots is to survive autumn/winter in the city where streets are covered with some snow/ice/slush, so wheather resistance is an advantage. 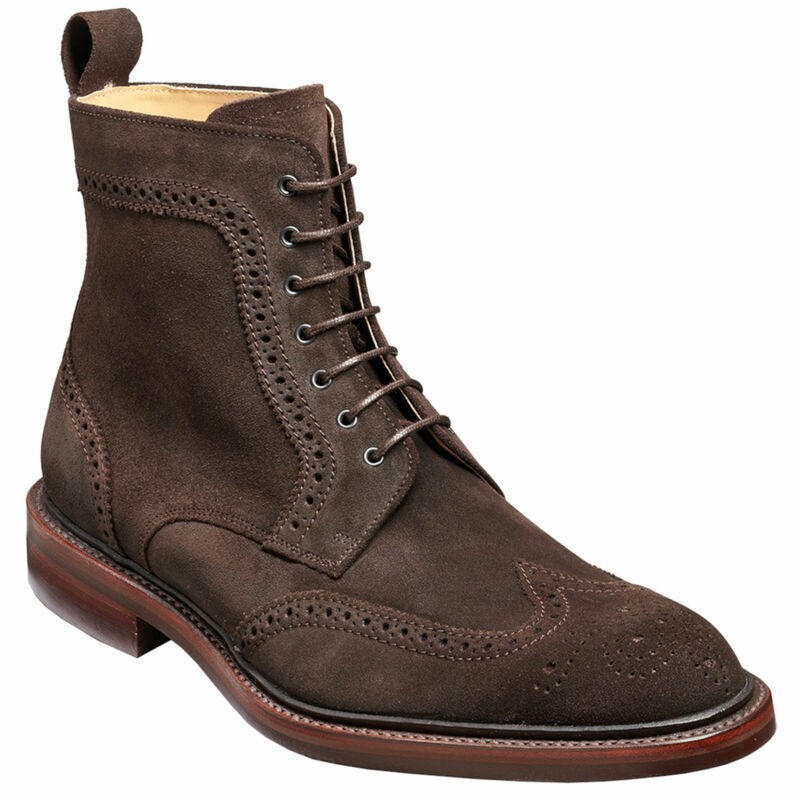 Any chance of Crockett and jones Bradford in dark brown calf at a decent price? if you are able to get them home of course. If so do send me an PM. Thank you for your interest in the Crockett and Jones Bradford. 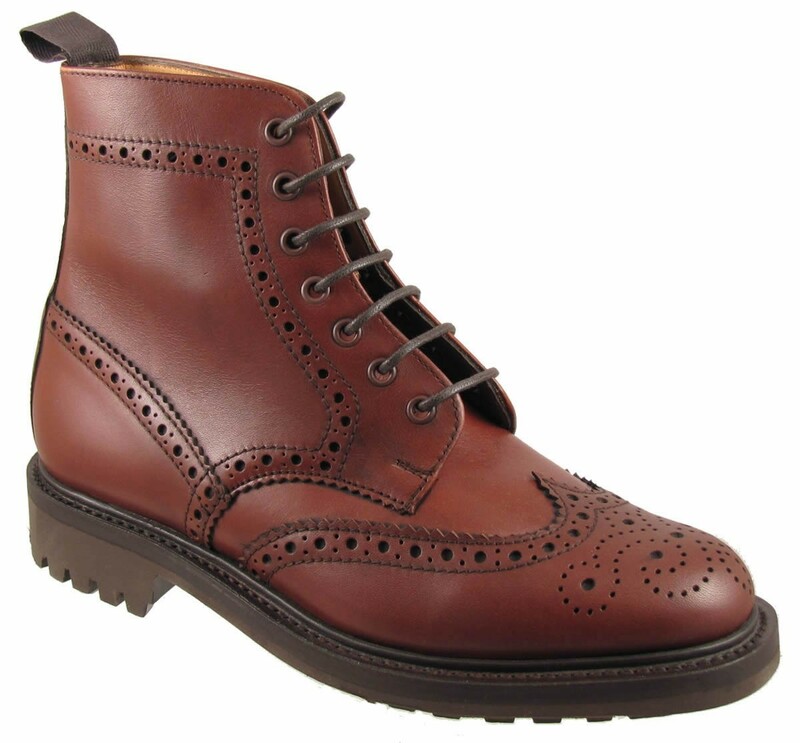 We are able to supply Crockett's in stock range which includes black and chestnut in calf leather (https://www.pediwear.co.uk/crockettandjones/products/6039.php). Unfortunately, we do not have access to a dark brown version, sorry! Both boots would serve your purpose well I suspect. I will PM you with some more thoughts on this! A couple of days ago arrived a pair of Baker shoes for my girlfriend from Pediwear. They are impressive to say the least. This is the second pair of GYW shoes and loves them. Excellent service from Pediwear, thank you Nathan. A tad bit wide but fit fairly well. Length is just about perfect and it fits my instep well (eyelets just about fully close when laced). Only noticeable issue is excess volume above my toes. Fit slightly better than Alfred Sargent 724. Length and width are just about perfect and it fits my instep well (eyelets just about fully close when laced). Only noticeable issue is excess volume above my toes. Derby shoe that is the best fitting dress shoe I own. J.Fitzpatrick describes this last as “our most fitted last, offering a very hugging feeling through the arch/heel/forefoot, adding a tiny bit of length in the toe.” This shoe fits me perfectly in length, width, instep and in toe volume (avoiding the excess space in the toe area that all of my other dress shoes have). About half of the feedback that I read about this last said to size down a half size; the others said go with your Carmina Rain size. They don’t fit quite as well as the Rain last but sizing down was the right call as the length and width is good and instep fits perfectly. Same issue as the others with excess volume in toe area. A pair of loafers that fit just okay in width and length. I added a heel grip to keep my heel from slipping out when I walk and they fit well now. I’ve read mixed feedback on the 360 & 341 lasts, where some people say to go TTS and others suggest dropping down a half size. I prefer when a last has a more hugging feel, though that might not apply to either of these. Thank you for posting and sharing your pics! I will pass on your thanks to Nathan. We hope we can be of service again soon! Thank you for your post and interest in Crockett and Jones. I am going to forward your message to our resident Crockett expert, David. I think your query would be better handled by email since it is likely to involve some to and froing. If you don't mind PMing your email address or emailing [email protected] explaining you are 'Banks' from StyleForum I will ensure David replies. We aim to answer emails within one working day - so you are assured a prompt response. David tells me he has been answering your enquiry. @pediwear I am looking to buy a pair of carminas from your website. How long will it take you to ship to the US? I bought a pair of Heschung shoes from you over a week ago, and after receiving the automatic reply, I have not heard anything from you about shipping etc. I have tried to contact you through your site a couple of times now, and both of times I haven't heard of my enquiry. Is there something wrong with your website, or haven't you received my order? I hope I'm not too forward here, but I would be really eager try try on those Heschungs – and if the shape fits me well, I'd even like to order another model as well! Thank you for your message, and no problem at all in contacting us on here. We have received your order and we did receive a message from you at 18:00 yesterday - this would have been responded to today. It does seem that there was a failure to send you our usual order acknowledgement - I am very sorry about this - it is most unusual. I have asked David to contact you today with an update. We endeavour to reply to all emails send to [email protected] within one working day - so hopefully you will not find it difficult to contact us in future. Many thanks for your patience despite our failure to respond. For in-stock items we generally advise 7-10 working days to the US - though our reviews suggest it can be as quick as 3 days sometimes. Do you know which style/size/colour you are interested in?